Our 17th annual conference will take place on 8 – 11 November 2018 in Yangon Myanmar. 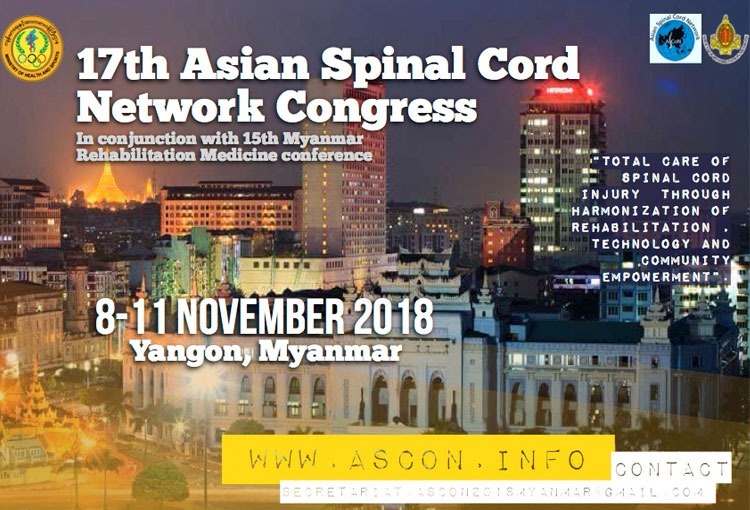 The conference will run in conjunction with the 15th Myanmar Rehabilitation Medicine Conference. Further details will follow in the months ahead.